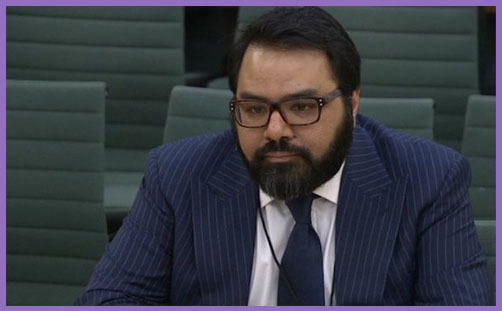 Dr Shiraz Maher is a lecturer at King’s College London and a Senior Fellow of The International Centre for the Study of Radicalisation and Political Violence (ICSR). His list of expertise includes terrorism, Al-Qaeda, radicalisation, the Middle East, the ‘Arab Spring’ and Islamic political movements. His latest book is an illuminating history and political theology of Salafi-Jihadism. Dr Maher is, by all accounts, an eminent academic and a respected authority. In the wake of the appalling murder of Glasgow shopkeeper Asad Shah, a member of the Ahmadiyya community, for the alleged crime of “disrespecting Islam”, Dr Maher reportedly wrote on Facebook that he does not regard Ahmadis as Muslims, or words to that effect. Dr Maher is now under investigation by King’s College London for the apparent crime of disrespecting educational/institutional orthodoxy. Perhaps Dr Maher was a tad insensitive. After all, Asad Shah had only just been stabbed in the head: his family and friends were still grieving, and along comes this pompous academic to pontificate on the validity of Mr Shah’s faith, thereby lending credence to the assassin’s motive; namely that Ahmadi’s are not ‘proper’ Muslims, not least because they “disrespect” Islam by distorting key doctrines, in particular the finality of the consummate prophethood of Mohammed. By taking verses out of their immediate context and imposing the ‘revelations‘ of Ahmadi founder Mirza Ghulam Ahmad, Dr Maher takes the reasoned historical-theological view that Ahmadis are not real Muslims, but a cult; and that their founder, Mirza Ghulam Ahmad, was not a prophet, but a heretic. The Muslim Council of Britain reflects the clear theological position expressed across Islamic traditions: namely that the cornerstone of Islam is to believe in One God and in the finality of the prophethood of the Messenger Muhammad, peace be upon him. We understand that this is not a tenet subscribed to by the Ahmadi community. The MCB Constitution requires our affiliates to declare that Messenger Muhammad peace be upon him is the final prophet and whoever does not subscribe to that declaration cannot be eligible for affiliation with the MCB. Given this fundamental theological difference with the Ahmadi community, the MCB is not in a position to represent or be represented by the Ahmadi community. Despite our clear theological beliefs, we note that pressure is mounting to describe this community as Muslim. Muslims should not be forced to class Ahmadis as Muslims if they do not wish to do so, at the same time, we call on Muslims to be sensitive, and above all, respect all people irrespective of belief or background. Such bigotry, religious intolerance and petty-fogging dogmatism leads directly to ‘hate crime’, as we have seen time and again. But if the repudiation of heretical Islamic religious doctrine may no longer be made by respected theologians and other academics, by what rationale may faculties of religion and theology assert that the traditional teachings of the Church Fathers must be taken as fundamental Christian orthodoxy? Surely we may not be so ‘racist’ as to assert that it’s only the more robust Sunni Muslims who are stabbing limp-witted Ahmadis in the head; that your average Methodist or Quaker isn’t about to take a 200-mile trip in an Uber taxi just to stick a knife into a purveyor of the Watchtower? But isn’t a leitmotif of Islamophobia precisely that your average Sunni Muslim isn’t likely to that, either? If Dr Shiraz Maher is to be racked by the King’s College London inquisition for believing and expressing that Ahmadis are not ‘proper’ Muslims, then all orthodox Christians in academia must beware, for Jehovah’s Witnesses and Millennial Dawnists have been seeking the means of optimal inculcation since the ‘Disappointment of 1844’. If Dr Maher may not express the view that Islamic orthodoxy hinges on the finality of the prophethood of Mohammed, then by what rationale may any university lecturer insist that Charles Taze Russell was a heretic; or that Christianity hinges on the belief that the incarnate Jesus was ‘of one substance’ with the Father; fully God and fully man? No, we must be tolerant and inclusive of the belief that Jesus attained his divine nature at the age of 30, when he was baptised; and that he is no longer a human being and so will not return as a man; and that he did not rise from the dead, but his body dissolved into gasses and was supernaturally removed from the tomb. The ‘orthodox’ teachings on the Trinity, Incarnation, Resurrection, Atonement, Christology and Parousia do not matter. If Ahmadis are real Muslims, then Jehovah’s Witnesses must be real Christians. Gainsay in the university ‘safe space’ at your peril. Frederick Forsyth on the EU's "government by deception"